DEUTZ is the world’s first engine manufacturer to earn EU Stage V emission directive certification for mobile machinery. The achievement underlines both the company’s engineering skills and sustainability efforts. On 6 September 2017, the German Federal Motor Transport Authority certified the DEUTZ TTCD 6.1 engine for Stage V, which will further tighten emissions standards from 2019. The TCD 3.6 (industry variant) engine was also certified on 6 September, followed by the TCD 4.1 on 8 September. The certifications deliver on Cologne-based DEUTZ’s 2015 customer promise that it would meet the expected Stage V standard. Soon after, it introduced the ‘Stage V ready’ seal. The entire range of DEUTZ TCD engines fitted with diesel particulate filters bore this seal, which will read ‘Stage V certified’. DEUTZ’s TCD 6.1 / 7.8 and TTCD 7.8 models will be certified in November in time for Agritechnica, the world’s foremost agricultural machinery trade fair. At the fair, to be held in Hannover from 12 to 18 November, DEUTZ will showcase its certified engine portfolio for the first time under the new ‘Stage V certified’ seal. By obtaining the first EU Stage V certificate, DEUTZ is delivering on its environmental promise as an eco-friendly engine manufacturer. DEUTZ AG Board of Management member for Sales/Service & Marketing, Michael Wellenzohn, is proud the company’s efforts. “This will provide our customers with flexibility when installing engines in their machinery and give them planning certainty when changing to Stage V,” he says. The EU Stage V emission standard represents a major challenge to engine manufacturers, as the recently introduced particle number limit can only be met by fitting a diesel particulate filter (DPF). DEUTZ has employed DPF technology for more than 10 years. 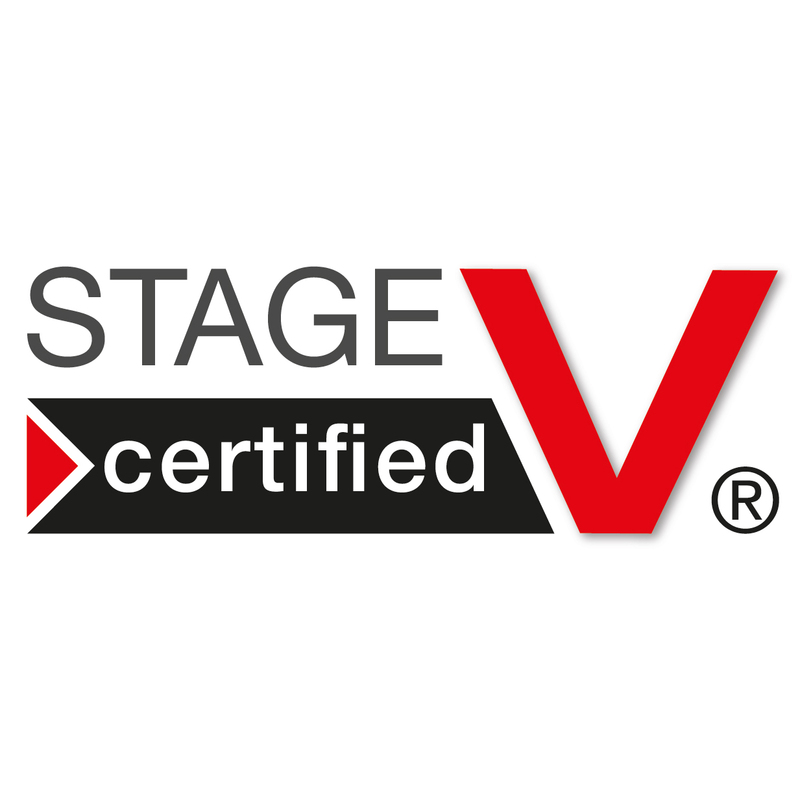 It is a standard integral feature of the TCD product range, which means changing to EU Stage V requires no extra installation space. This avoids expensive modifications to a customer’s equipment. Operating a DPF demands in-depth knowledge. The load profiles are completely different, depending on the equipment in which the engine is installed. An intelligent ‘Heat Management’ system is needed to burn off the particles collected in the DPF. DEUTZ has developed what it calls a ‘Heat Mode’ to specifically raise the exhaust-gas temperature and to ensure the machinery is operated safely.